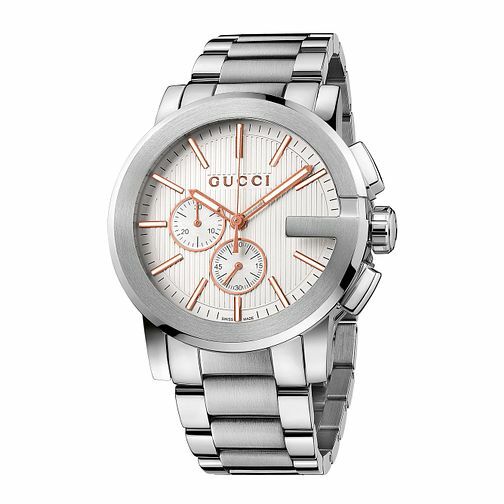 Embrace iconic Gucci style, with this sleek stainless steel bracelet watch with a smart silver tone dial with sub dials. Designed to deliver effortless, everyday sophistication. Gucci watches echo the brands longstanding icons, from the Horsebit to the 'GG' mongram.